Sometimes Letizia's way of dress is a little too low key for my tastes, but there's no doubt that she can work a simple silhouette like nobody else. Just give me variety, and I'm a happy camper. Simple's good, but I like a little lace on my Leti too: in the form of a fairy princess turn, a sweet day dress, a sparkly cocktail dress, an amazing mantilla, or a perfect christening outfit. 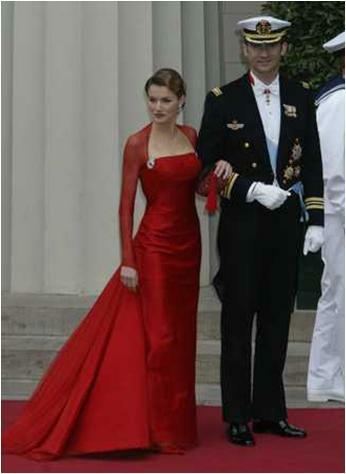 It's rare that a look without a tiara would win my love at a serious tiara event, but Letizia at Frederik and Mary's wedding was just fab. The hair, the use of jewels, the train...I loves it all. 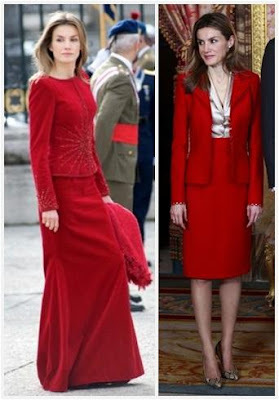 What's your all time favorite Letizia outfit?